St. Louis, MO - A continuing series of commemorative activities to mark the 100th year anniversary of the East St. Louis Race Riots will be held Saturday, July 1 – Monday, July 3, 2017 in East St. Louis, St. Louis and atop Eads Bridge. According to historical accounts East St. Louis broke out into race rioting from July 1 – 3, 1917. 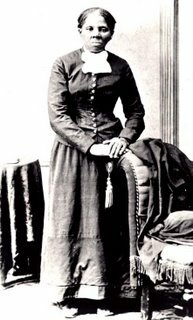 Most historians agree that July 2nd was the worst day of the rioting, fighting, property destruction, killings and mass Black exodus. 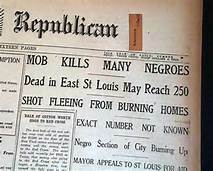 The East St. Louis Race Riot has been referred to as “Race War” by many of the survivors. Films and Discussion – begins at 1p.m. at Better Family Life Facility (BFL), 5415 Page Blvd in St. Louis, Mo. This event includes drumming refreshments the viewing of two independent short films about the East St. Louis Race Riot by directors Bryan Sparkman and Dr. Denise Ward-Brown. It also includes a discussion about shelter cities and a question and answer period with the two film directors who will be present. This event is sponsored by the Committee for Historical Truth in respect to East St. Louis 1917 Centennial Commission and Cultural Initiative (EStL1917CCCI) activities. Opening Activities- “Reviving and Renewing East St. Louis” - begins at 4:30p.m., outside at the SIUE East St. Louis Education Center, 601 James R. Thompson Blvd., (Brady Ave,) in East St Louis, Ill. The opening activities are designed to reenergize East St. Louis and its supporters and will include historical accounts, music, cultural presentations, prayers, discussions, healing rituals and special recognitions. Commemorative Procession begins gathering at 6pm to depart by 6:30pm, The silent procession (with drumming) will depart from the SIUE East Louis Education Center and proceed to the center of *Eads Bridge. The Drum Procession is symbolic and reminiscent of the procession held in Harlem, New York by the NAACP to bring attention to the mass killings of African-Americans during the East St. Louis Race Riot. (*Eads Bridge was used by many refugees from the rioting to escape to St. Louis – ultimately into safety.) Though not a requirement, participants in the procession and bridge activities are asked to wear all white apparel like worn by some of those in the 1917 procession in Harlem, New York held by the NAACP to bring attention the atrocities in East St. Louis. The Program & Wreath Placement will begin at 7pm. At the top of Eads Bridge a memorial wreath will be placed in the Mississippi River; the program will also highlight historical accounts, music and songs. Flying Sky Lanterns will be lit and released (from Eads Bridge) at the conclusion of the program. The releasing of the lanterns is in honor of those who lost their lives during the riots and in recognition of how a community united to end the violence and provide relief to survivors and their families. This event is sponsored by Freedom Trails-Legacies of Hope, TEACH, Sudan Illustrators, Committee for Historical Truth and Progressive Emporium & Education Center in coordination with the EStL1917CCCI. The EStL1917CCCI has held events throughout 2017. Discussion: “Communities of Color Taking Control of Their Own Destinies”, begins at 1p.m., Greater St. Mark Family Church, 9950 Glen Owens, Ferguson, MO 63136. This event includes an open community dialog, drumming, refreshments, networking, sharing ideas and experiences and finding solutions. This event is sponsored is sponsored by the Committee for Historical Truth in respect to EStL1917CCCI activities. According to historical accounts fear of an increasing Black population into East St. Louis by whites in the early 1900s and concerns that they would take jobs in local factories was the cause of the race riots. This fear sparked months of conflict that erupted into days of rioting. 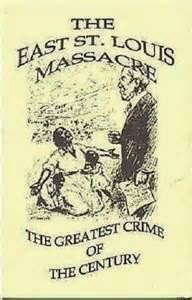 Historical news reports from 1917 state that over 300 African-Americans were killed during the rioting. 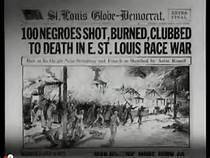 Documented reports reported that thousands of African-Americans were made homeless when white mobs set the Black section of East St. Louis on fire to rid the City of its Black population. The City of St. Louis provided refuge for many survivors. Other survivors moved to Kinloch, Mo. Others moved to Lovejoy/Brooklyn/Alton and Edwardsville in Illinois while some moved to other parts of the world. This atrocity had worldwide impact as this country began to engage in World War I. 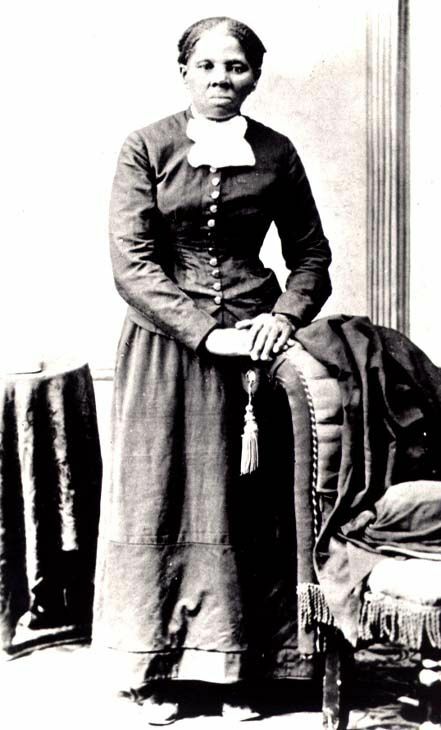 WEB DuBois and Ida B. Wells both wrote articles to bring attention to the carnage. The national NAACP held a silent march with only the sounds of drums to show support for the survivors. 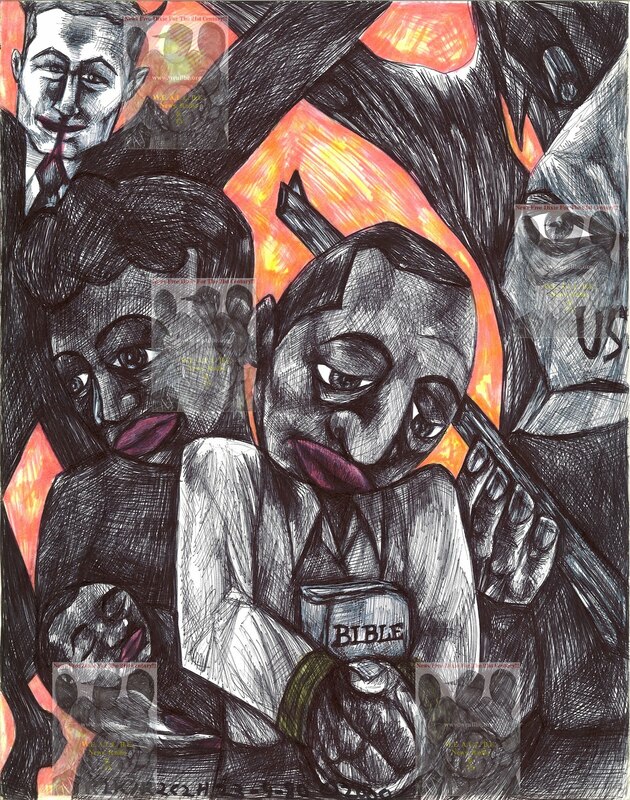 Marcus Garvey publicly agitated and spoke against the killings. Later the St. Louis Urban League was formed to address local racial tensions highlighted by the rioting and to provide relief to the 1,000s of African-Americans left homeless. Participants are encouraged to use MetroLink. Those who are not physically able to make the walk, should consider taking the MetroLink elevators to the bridge deck to join in on the Commemorative program. Though the bridge will be closed to vehicular traffic during the commemorative activities participants, not in the procession, may walk on to the bridge from both the Illinois and Missouri entrances to the bridge. For information contact Johnson Lancaster – TEACH Society at (314) 875-9277 or email progressiveemporium@yahoo.com. We will be having the 1st meeting for the 2017 Jimmie Lunceford Jamboree Festival Planning Committee scheduled on Saturday, June 24, 2017 at 3:30 pm. The meeting will be held at Cordova Public Library. The Library is located at: 8457 Trinity Rd, Cordova, TN 38018. Use the map-quest link below to get directions if needed: https://www.mapquest.com/directions. WeAllBe's next project is the 2017 Jimmie Lunceford Jamboree Festival. This year will mark the 115th anniversary of Jimmie Lunceford's birth and the 70 year anniversary of his death. 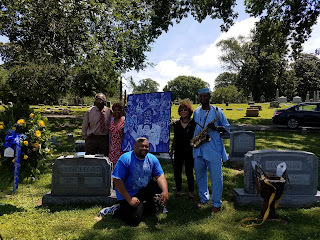 Ronald Herd II aka R2C2H2 Tha Artivist, founder of The WeAllBe Group Inc., learned about Jimmie Lunceford, Charlie Parker and James Reese Europe from being exposed to the history and sounds of jazz music during his freshman year at Washington University in St. Louis. This revelation allowed him to become a genuine fan of the unsung music genius known as Jimmie Lunceford. Herd was anointed to do this work because he later he found out that his paternal grandmother was a dancer for Lunceford when he came to Kansas City along with his great uncles being childhood friends with jazz great Charlie Parker. He illustrated, wrote and self-published a book on James Reese Europe entitled 'James Reese Europe: Jazz Lieutenant.' The book is listed on the Smithsonian Institute's 'Jazz Books For Kids & Young Adults' List. 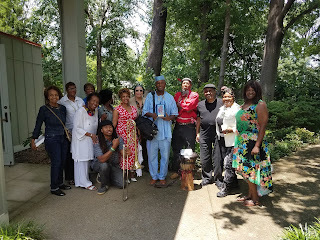 Herd later met the late great Mr. Emerson Able, Jr., a Memphis music legend in his own right and a fellow Lunceford enthusiast, in 2007 and they became partners in crime as they went beyond trying to give honor to Jimmie Lunceford. Their collective grassroots effort led to Jimmie Lunceford finally receiving a brass note on Beale Street in 2009. The late Mr. Able was a wonderful and great 'Jegna' (A Better Word Than 'Mentor') to Herd and his legacy will live on through Herd's works on Lunceford. 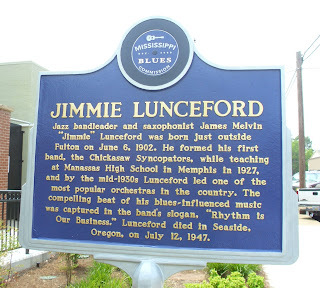 Even when they gave Lunceford his Blues Trail in his hometown of Fulton, Mississippi they used some of the wording that Herd had created for Jimmie Lunceford. Herd even got Wikipedia to correct Lunceford's state of birth from Fulton, Missouri to Fulton, Mississippi. Jimmie Lunceford taught the first high school band in the Memphis City Schools system along with having four other responsibilities (taught English and History along with being the Basketball and Football coaches). Jimmie Lunceford may have been the first person to teach jazz studies in an educational setting in any place in the world!!! 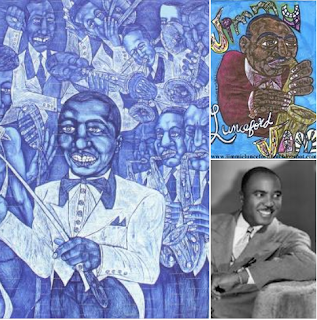 He made history by bringing together his best high school band students along with his fellow Fisk alum musician buddies to form the popular locally Chickasaw Syncopators which later became world wide famous as the Jimmie Lunceford Orchestra. They ruled the Cotton Club as the official house band for several years starting in 1934 and was the most popular act at the legendary Apollo Theatre for 10 yrs. 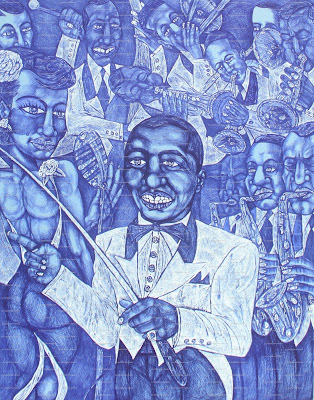 They consistently beat out Duke Ellington, Count Basie and other great bands during that era and Jimmie Lunceford was known as the King of the Battle of the Bands and his band was nicknamed the Harlem Express because they were the number one band of choice for African American dancers in the United States. I could go on and on, but I think you get the point. Miles Davis in his autobiography gave honor to Manassas High School for producing world class musicians. Now it is time to give honor to Jimmie Lunceford. We have several activities planned to give honor to his legacy and you will be provided the agenda later. #JimmieLunceford Matters!!! Why??? WATCH W.E. A.L.L. B.E. TV To FIND OUT!! !